Sharon Draper speaks on her controversial novel Panic Sharon Draper: What Are You Reading? This gripping, chillingly realistic novel from New York Times bestselling author Sharon Draper, “by turns pulse-pounding and inspiring” (Kirkus Reviews), shows that all it takes is one bad decision for a dream to become a nightmare. 1. Panic begins with a confrontation between Justin, a dancer, and some local bullies. How does this help capture the reader’s attention? Discuss the impact of bullies in schools. What is your opinion of how Justin handles the bullies? 2. What predictions can the reader make about Justin and his role as a dancer and a teenager? Compare those predictions to what really happens at the end of the novel. 3. Describe the dance academy and the role it seems to play in the lives of the students who take lessons there. How is the relationship between a dance teacher and her students different from an academic classroom teacher and his or her students? 4. Describe Diamond’s home life. As you first meet Diamond, how is she like many young people today? How is she different? What seem to be her biggest insecurities? Her greatest strengths? What character traits does she have that will help her through the difficulties to come? 5. Describe the initial meeting between Diamond and Thane. How believable is it that he is able to convince her to leave with him? Do you think he planned that confrontation? What would you have done in the same situation? 6. Discuss the reactions of the students to Diamond’s disappearance. Which characters stand out and why? 7. How does Diamond gradually discover the enormity and evil of her situation? What is both ironic and horrible about Thane’s explanation of what is to happen? 8. Describe Donovan physically, emotionally, and socially. Why do you think a girl like Layla lets him mistreat her? What factors in her life might play a part? How is Donny’s behavior another form of bullying? 9. If available, listen to the music Justin dances to in chapter 11. Visualize his performance as you listen. How do the words match both the movement and the music? 10. Compare and contrast the April 14 Sunday morning of Mercedes and of Diamond. 11. How do extraordinary events affect the lives of ordinary people? Describe how Diamond’s disappearance affected her parents, her sister, and her friends. 12. Compare and contrast the relationship of Mercedes and Steve, and the relationship of Layla and Donovan. Give specific examples of noticeable differences. 13. The source of pleasure for most of the characters in the book is dance. Describe how music and dance in the novel help to aid various characters throughout. Why are music and performance easy ways to explain complicated feelings? How can self-expression be used as a tool for helping or healing? 14. Layla thinks she is in control of the situation when she lets Donny take the pictures. Describe how innocent lapses in judgment led to her problems the next day. 15. Discuss the power of social media, the Internet, and instant sharing of information. How can that be both positive and negative? 16. Compare and contrast the reaction of students at school to Layla’s pictures and Justin’s reaction to the pictures and to Layla. 17. How does Diamond find the strength to survive her ordeal? What does she do to cling to hope? How successful do you think her reintegration into both school and dance classes will be? 18. Compare and contrast Diamond’s abuse and Layla’s abuse. How are their situations similar? How are they different? 19. Explain the title of the novel. Why does the title have more than one possible interpretation? Use specific examples to support your answer. 20. Partner abuse in high school, bullying, and the criminality of Internet sexual abuse are topics that need to be discussed. Discuss how the lives of Diamond and the others are portrayed and how the characters can become voices for young readers. Write the story for your newspaper. 2. Investigate child abductions. Find out statistics as well as solutions. 3. Investigate bullying in schools. Find out statistics as well as solutions. 4. Explain how the quotes from Peter Pan fit into the flow of each chapter. OR Read the original Peter Pan and analyze it as a children’s story. 5. Write a letter to one of the characters in the book explaining your feelings about the events in the story. What advice would you give Diamond, Layla, Justin, or Mercedes? 7. In diary form, write the life of Diamond (after the abduction) for several months. Include details about how she copes with her bad memories, her lost dreams, and her hope for the future. 8. Trace the story of one of the following characters. Imagine you are a reporter doing a story on one of their lives. Write everything you know, as well as whatever you can infer about the character in order to write your magazine article. 9. Listen to the songs used in the novel and tell how each one fit into the themes of the story and the lives of the characters. 10. Describe the relationship between the friends in the book. Is friendship enough when situations become monumental and overwhelming to young people? Explain. Guide written by the author. "A troupe of high school dance students is rocked when one of their number disappears. The Crystal Pointe Dance Academy is a refuge for the group of students who take classes and participate in dance recitals. Each of them—Diamond, Layla, Mercedes and Justin, the only boy in the group—has a different reason to dance, but they all want to earn a role in the upcoming production of Peter Pan. When Diamond disappears during a routine trip to the mall, the close-knit group is thrown into emotional turmoil that mounts as the days go by. As it turns out, Diamond has been lured by a sexual predator dangling the promise of a movie audition and finds herself in a dire situation. While the four main characters alternate narration, this is really a two-sided story: Diamond’s story of abduction and exploitation, and the everyday concerns her friends face back home. The other dancers face tough situations, from relationship conflicts to a parent returning home after a long incarceration. Diamond’s story, though, with elements of suspense and sexual horror, is the more interesting of the two, and readers will find themselves impatient to get back to her ordeal, which is depicted frankly but with sensitivity. Threading through it all is the importance of the arts as a vehicle to get through tough times. By turns pulse-pounding and inspiring." 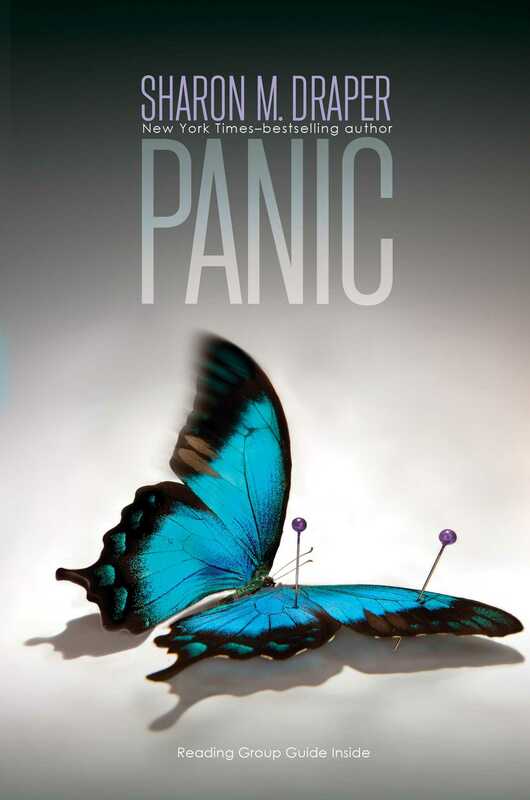 "Sharon M. Draper's PANIC is an outstanding book... [This is] high-interest contemporary fiction -- a book that many readers will gulp down in one evening. It is a story that addresses important issues (like never getting into cars with strangers, and never letting your high school boyfriend take photos of you that you wouldn't want your parents to see). Thus, it is a book that could quite likely save lives and reputations. Some astute readers will recognize how these issues all relate to the objectification of women in our culture. And it is for these reasons that PANIC will be an important addition to middle school and high school collections. 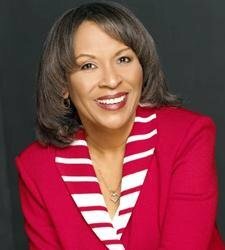 With a little luck, there will be lots of young adolescents who read it and learn the consequences of risky behaviors -- without having to learn them the hard way." * "Balances a suspenseful plot and the emotional growth of her characters with ease and grace."